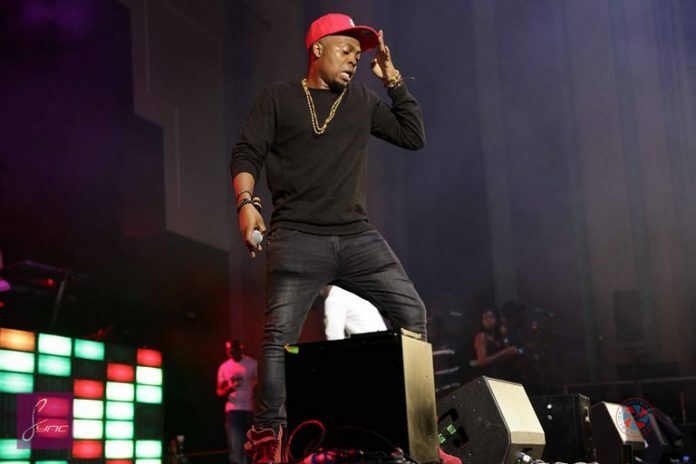 YBNL boss, Olamide, has come out to say he can never run out of songs. One will agree with the Orobo crooner who has been consistent enough to release an album every year from Rapsodi (2011) to YBNL (2012), Baddest Guy Ever Liveth (2013), Street OT (2014), 2 Kings with Phyno (2015) & Eyan Mayweather (2015), The Glory (2016). However, in an interview with Sunday Scoop, Olamide says he laughs when he hears people say that he would run out of music. In his words; Whenever people say things like that, I just laugh. Talent comes from God and if you have it, then you have it. Even as I’m chatting with you, I can get inspiration for a song and I would immediately note it in my mind. As long as life exists and things happen on earth, I will always have the inspiration to sing. Music is life and life is music. If I were to release all the songs I have ever recorded, they would scatter the whole place. I work in the studio everyday and there are many songs I have recorded that I am yet to release as singles or in albums. Most importantly the grace of God that has kept me. I don’t do this by my power or might. I also go with the flow and keep my ears on the ground. I know about the new slangs that are spoken on the streets and sometimes, I turn them into songs, which resonate with people because they can identify with the content of the song. Recently, Olamide revealed that alternate singer, Adekunle Gold is no longer a member of his YBNL record label.